I thought my phone malfunctioned when a gluten free grocery store popped up on the map after searching “gluten free” while driving through Marin. 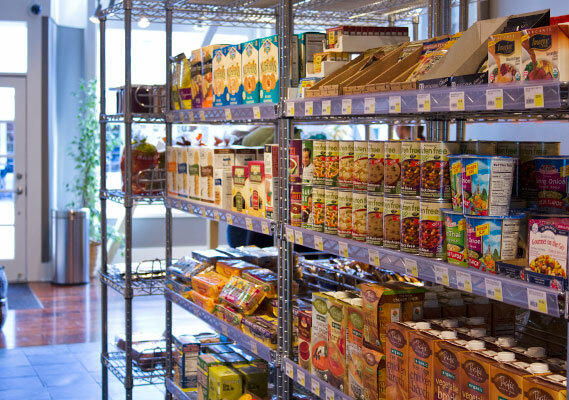 With further research, I came to find that a pair of gluten intolerant siblings had recently opened an exclusively gluten free grocery (I’d rather call it a sanctuary) that houses hundreds of gluten free specialty items. 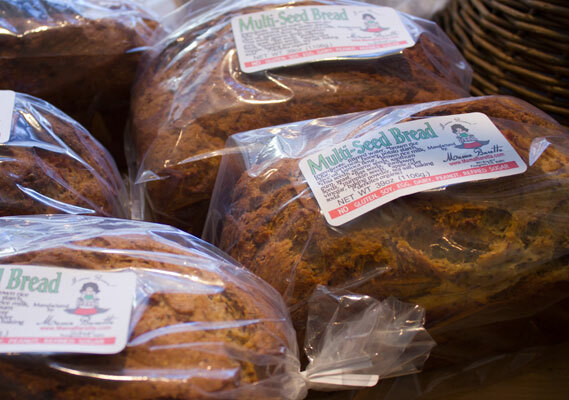 Highlights include excellent fresh baked breads, pies, cookies and granola from local bakeries that really know what they’re doing. 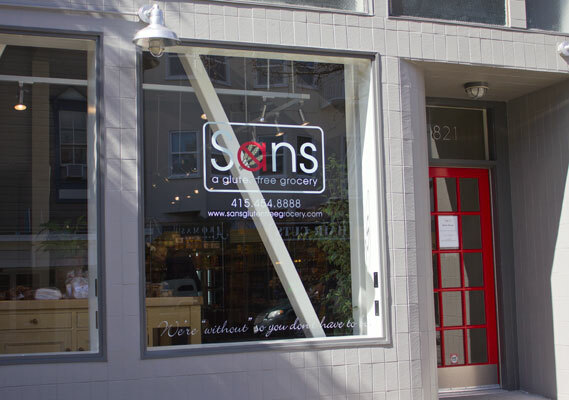 Upon entering Sans Gluten Free Grocery in downtown San Rafael, you will feel right at home with other customers who are quietly oogling over all of the goodies and exchanging knowing glances with strangers around the store. The space itself is filled with natural light and has a commercial kitchen in the back which will serve gluten free sandwiches, pizza and other items in the near future. 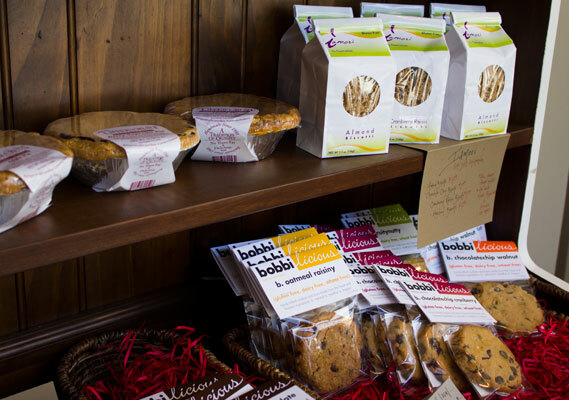 Be sure to visit the store on Fresh Friday to take home the best baked goods of the week and have first pick at their popular locally baked items. While perusing the store, I picked up a box of graham cracker pie crust mix, specialty italian breadcrumbs, to-go packets of gluten free tamari, fresh baked chewy dinner rolls, cinnamon raisin bread, and a delicious loaf of multi-seed bread (all bread was local). Its hard to avoid a gluten free shopping spree at this store, but I’ll be back soon to re-stock my pantry.